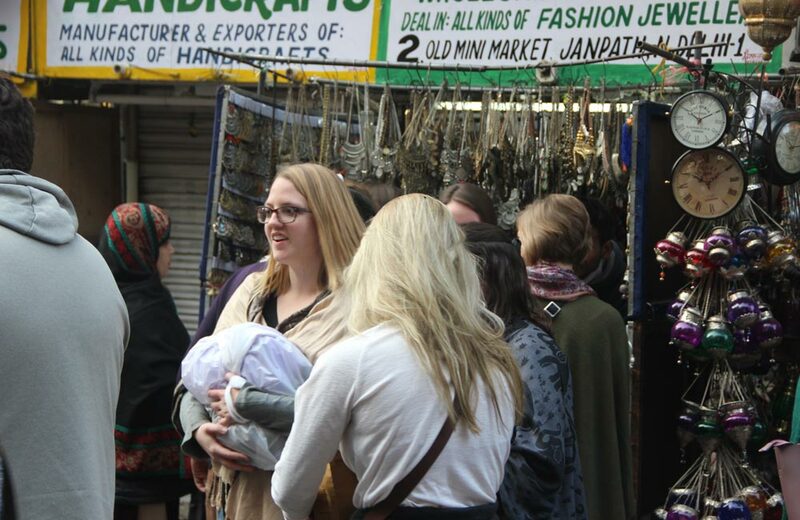 Named after the road it is located on, Janpath is the favourite flea market for everyone, be it Delhiites or tourists. From designer tops to beautiful kurtis, it has a wide range of dressing options. Don’t forget to buy the junk jewellery and funky accessories available here. You can bargain as much as you want. A small stretch of the street, connecting CP to Lodhi Road, it has numerous shops to satisfy the shopaholic in you. 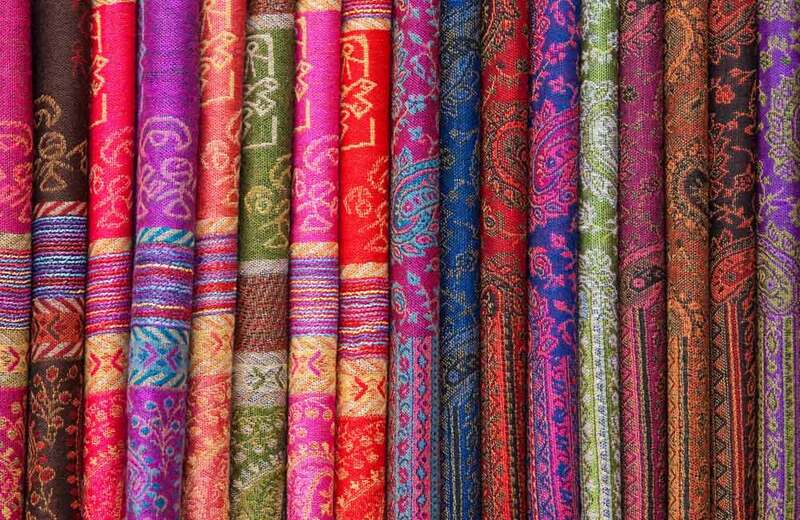 It offers stuff from India and Tibet alike, so everyone can find something for themselves. 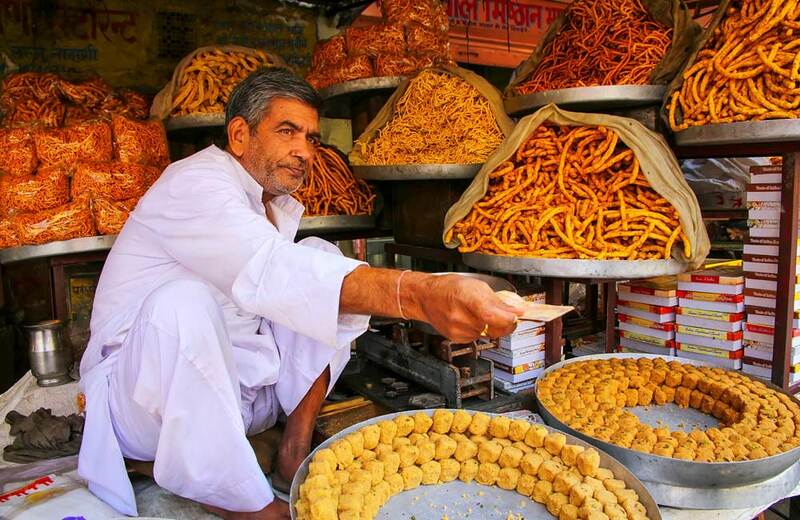 You can’t miss out on Chandni Chowk if you’re in Delhi. Situated in Old Delhi, it is lined by age-old buildings and surrounded by monuments. Shopping here will take you back in time and give you a tour through the city’s intriguing past. Souvenirs, jewellery, electrical items, fabrics or spices…you get them all here. This is a great place for bibliophiles too as Nai Sarak, which is directly connected to Chandni Chowk offers books and stationery. 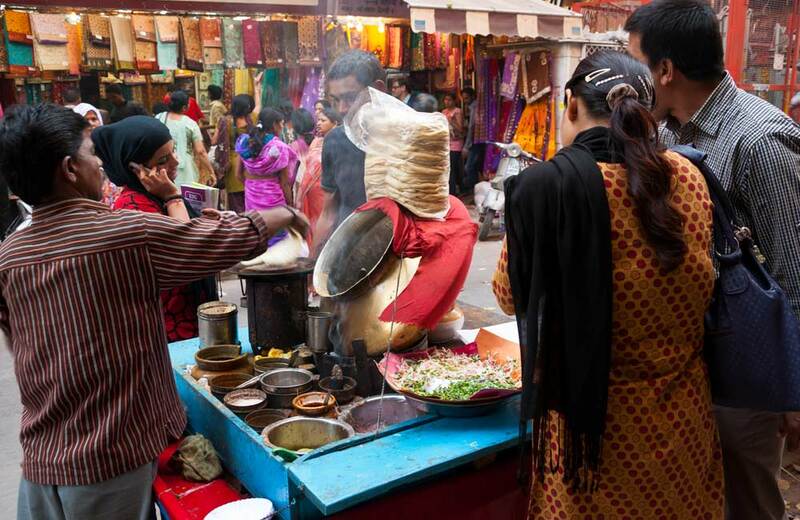 Once you are done with your shopping, don’t forget to delve in the delicacies of the iconic Paranthe Wali Gali. 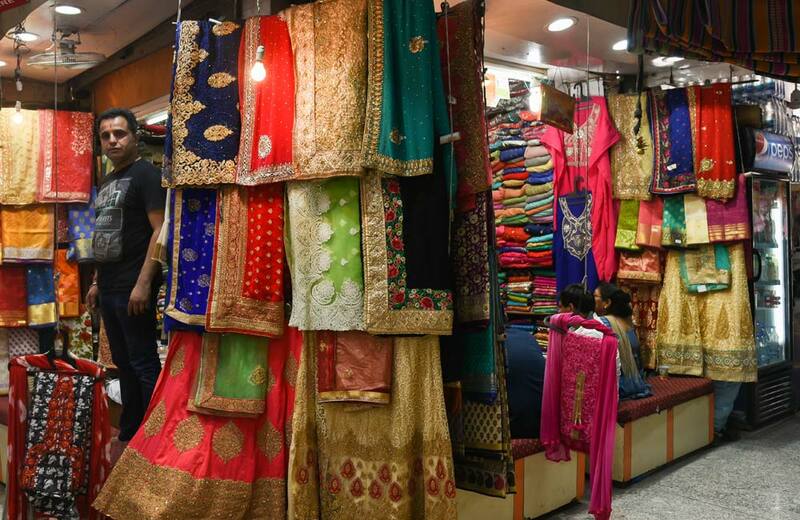 It’s almost impossible to miss out on Sarojini; like how can you be in Delhi, go out shopping and not visit Sarojini?! Named after the Nightingale of India, this is one of the tidiest markets in the city, perhaps because it is close to foreign embassies and consulates. You get a chance to binge shop at both showrooms and street stalls. Like many shopping places in the city, it is open on all days, except Monday. Lajpat Nagar is popular for its rows and rows of textile and garment shops. It’s well connected by metro and buses; therefore, is one of the most visited market places in the metropolis. 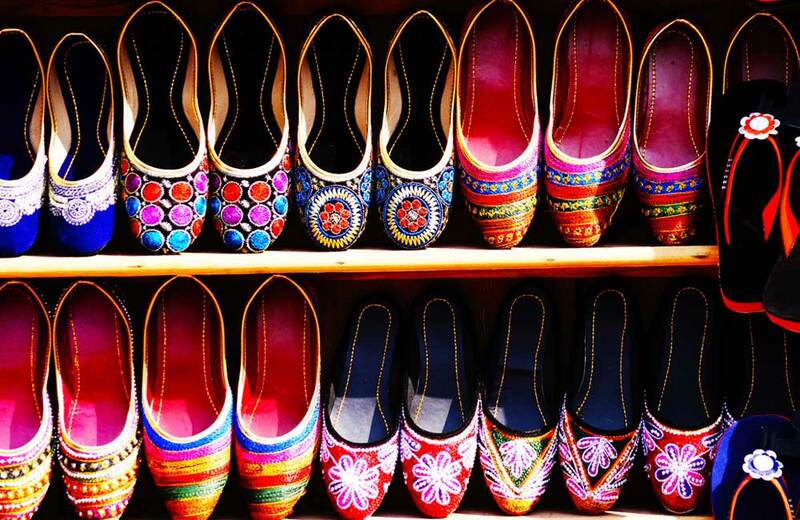 You get a wide array of trendy accessories, clothes, footwear, bags and designer items at Lajpat Nagar. As if these items weren’t already affordable, you can bargain for an even better deal; provided you are good at it. The old-world allure of Karol Bagh is appealing to shopaholics and tourists alike. It’s a popular wedding market; from designer lehengas, choodas and jewellery for women and exquisite shervanis and Indo-Westerns for men to horde of restaurants for food lovers, this place has everything you might need. Further, you can even buy second-hand books at Arya Samaj Road. You’ll get cheap duplicates of branded stuff at Tank Road and imported stuff, ranging from cosmetics to electronics, at Gaffar Market. The famous Jhandewalan Temple is close by that you can visit before shopping. One of the most amazing hangouts for students and a paradise for shopaholics, Kamla Nagar is situated near Delhi University’s North Campus. 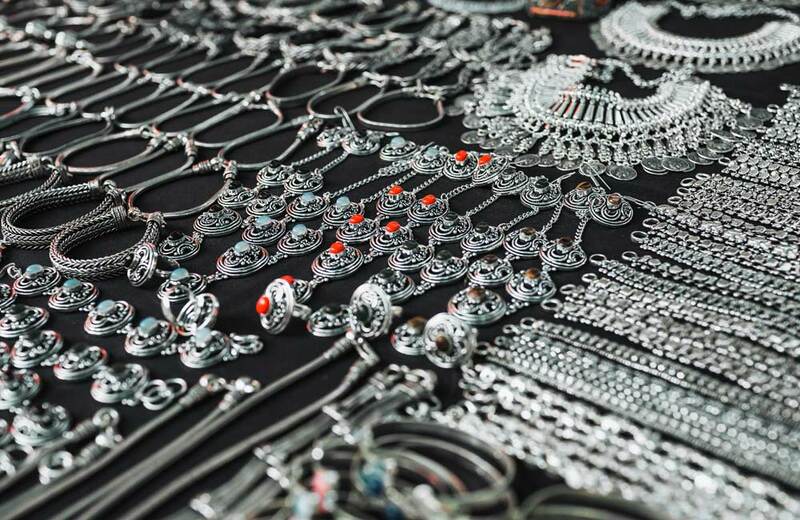 From junk jewellery and funky footwear to awesome kurtis, you can get everything at one place. You get cute dresses and lovely ankle socks at some of the lowest prices here. Pair up the dresses with beautiful accessories and get yourself the look you’ve always wanted. Isn’t it a sweet deal? Paharganj is home to junk jewellery stores and cheap hotels. It is close to New Delhi Railway Station, which makes it transit travellers’ hub to shop till they have no more space left in their suitcases. Shops here deal in wholesale as well as retail, so people throng it in large numbers. You can get anything from beautiful and affordable dress material to stylish ornaments. It is one of the oldest shopping destinations for West Delhi patrons. People come here to stock up on clothes and shoes in budget. There are quite a few shops here, selling designer bags and luggage bags as well, so, you can actually buy a trolley here to stuff all that you shopped for here and at other markets. 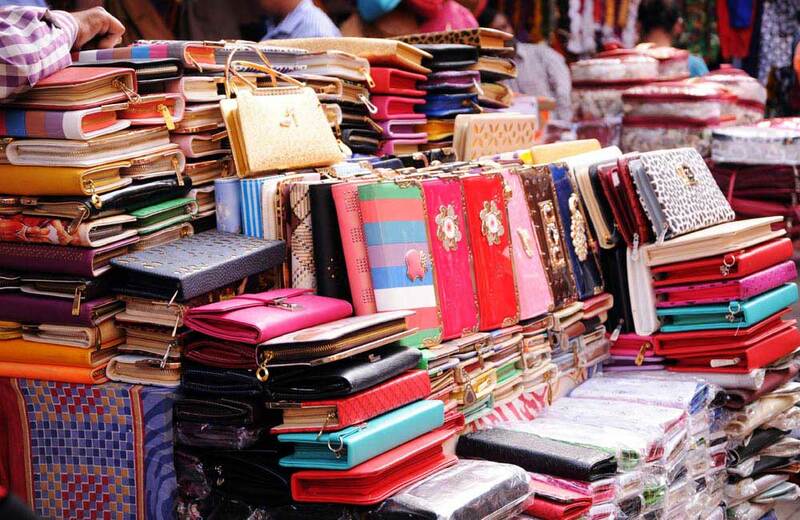 Lal Quarter Market, situated in Krishna Nagar (East Delhi), is the lesser-known Sarojini. It’s an irresistible sight for shopaholics as it offers a wide range of clothes, accessories and footwear. The prices are subtle, and if your bargaining game is strong, you’ve got yourself a deal worth bragging about. You can find tops and party dresses for as low as 50 bucks to 300 bucks. Your outfit won’t be complete without proper accessories; you get them all here, and at really affordable rates. 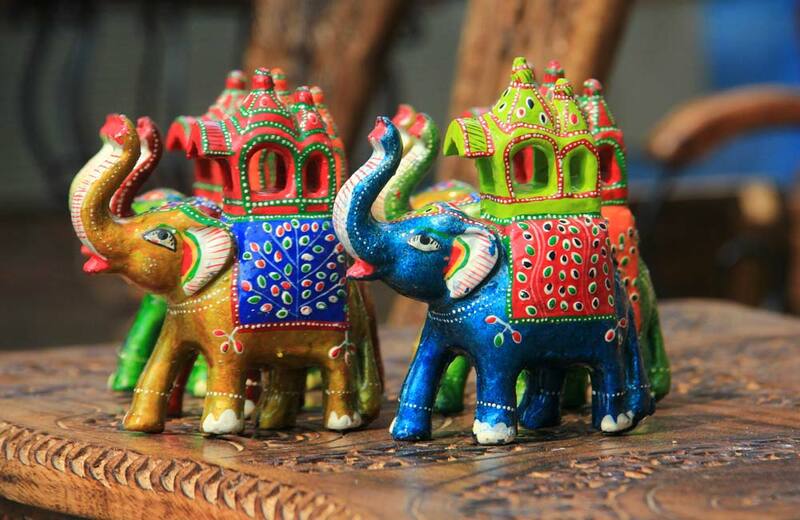 If you are looking for handicrafts from across the country, then you will not find a better place than Dilli Haat. Easily accessible from INA Metro Station, Dilli Haat is open every day from 11:00 am to 10:00 pm. Designed like a traditional Haat, it offers a great variety of artefacts and handicrafts from all over the country. The ambience is complemented by thatched cottages with a village-like feel. 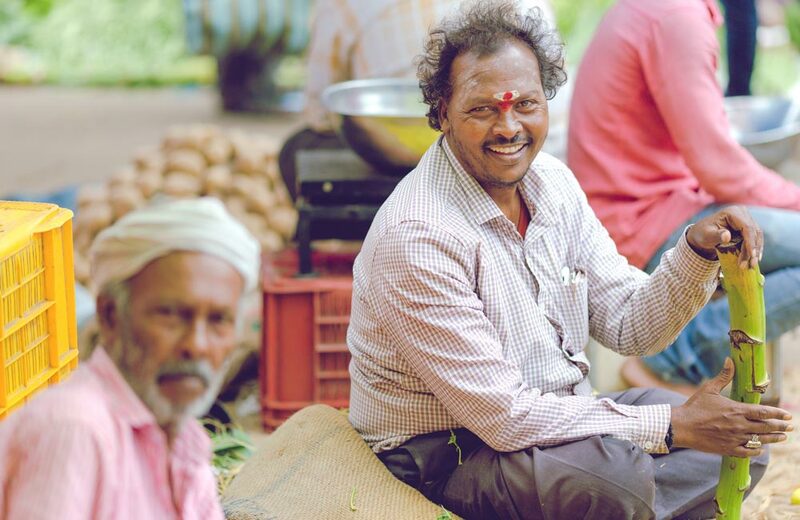 An initiative by the Delhi government, this market also hosts cultural events from time to time. So, now you know that Delhi is not only the political capital of the country, but also the shopping capital for people from all over the country as well as tourists. So, when in Delhi, take a stroll at any of these places, and get yourself everything that you want at affordable prices. What are you waiting for? Just get started. Click here to read about more incredible shopping places in the national capital.